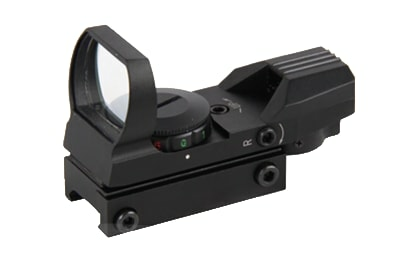 Aim Sports RT403: The Reflex Sight 1x34mm is a lightweight, compact reflex sight with a wide field of view. 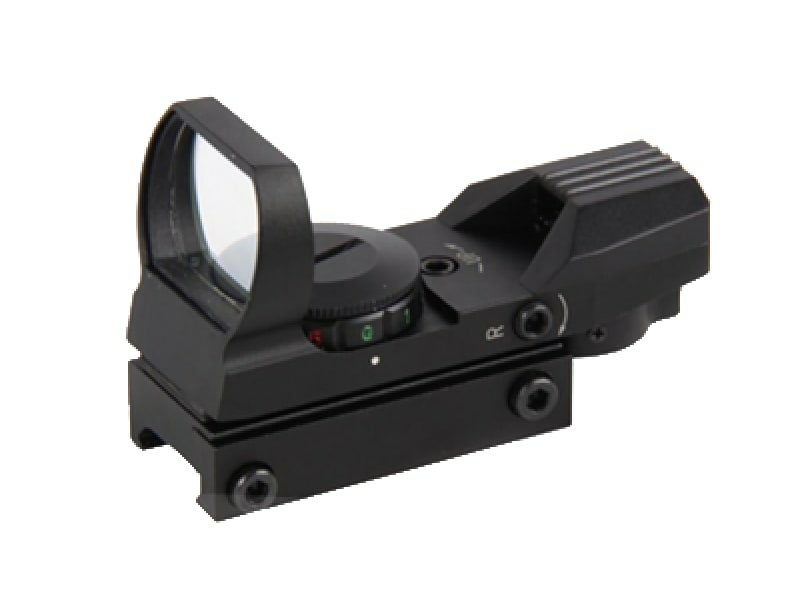 With four reticle patterns (dot/cross/starburst/bullseye) and red/green illumination, this reflex sight has ultra-fast target acquisition and unlimited eye relief. It has an aircraft grade aluminum body and fog proof and shock-resistant housing. 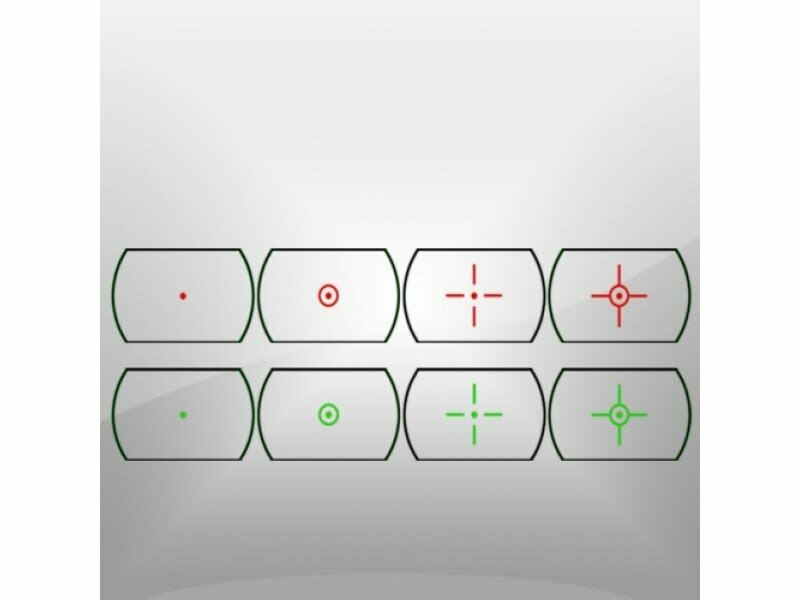 The coated lens provides superior light transmission, resolution and scratch resistance. 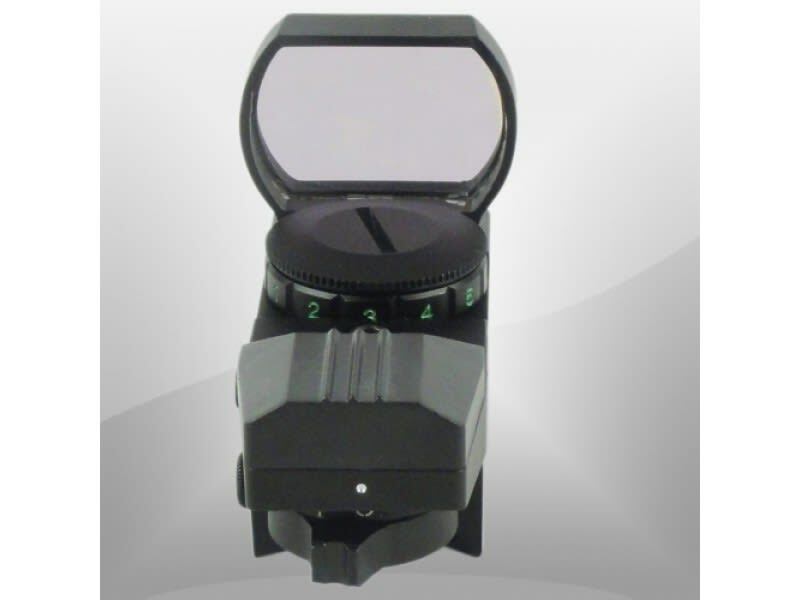 It has an integrated Picatinny/Weaver mount and includes a protective lens cover.